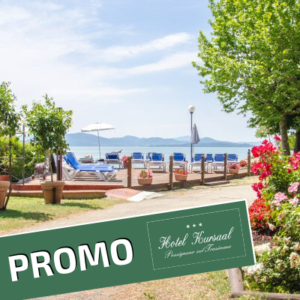 Rooms: discover Hotel Kursaal's rooms and book your holiday! 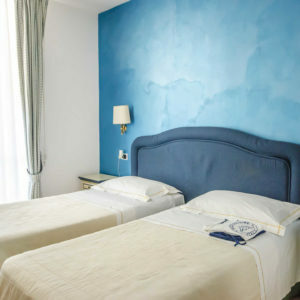 Our rooms are furnished with pickle-stained wood, the work of an artisan from Spoleto. 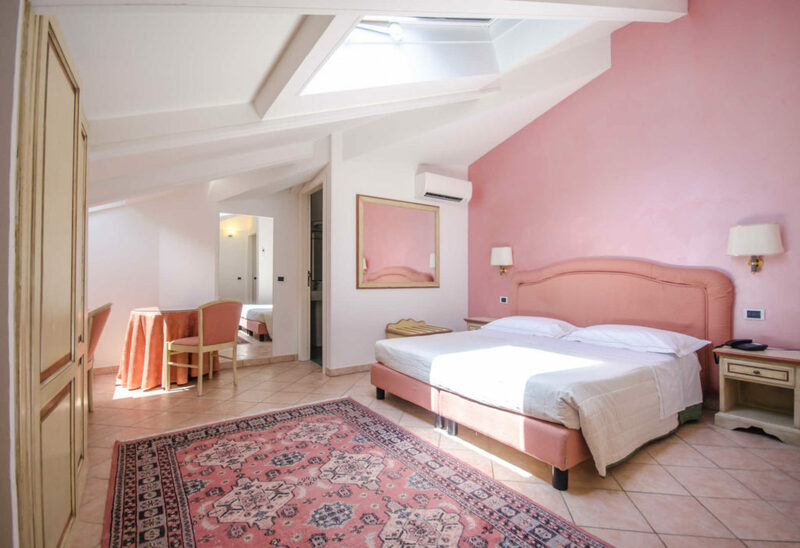 The colors of the furnishings mirror those of the surrounding environment: the green hues of the olive trees, the blue shades of the lake and the pink tones of the oleanders. 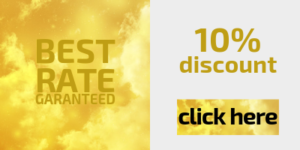 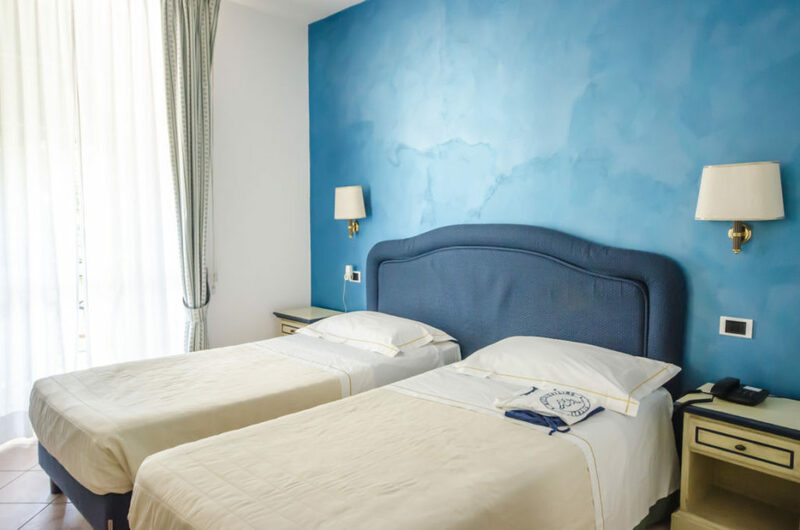 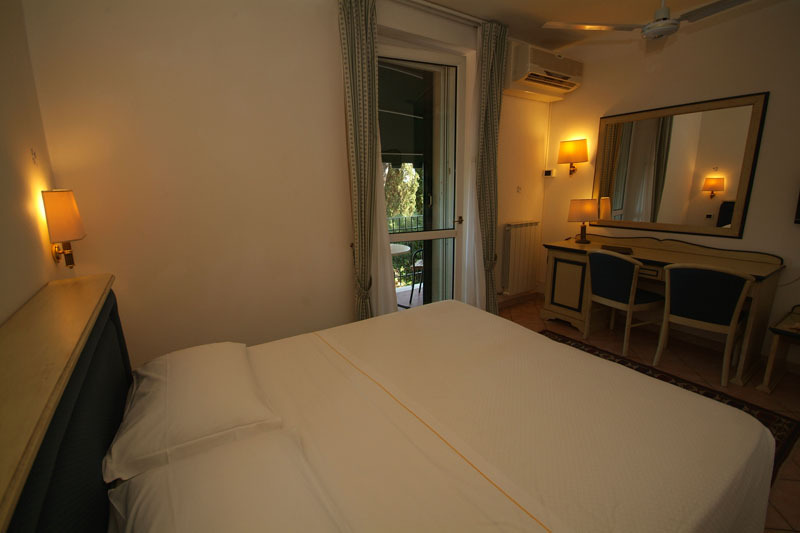 All rooms have private facilities, air-conditioning and are equipped with satellite TV, telephone, Wi-Fi, minibar, safe, hairdryer, complimentary toiletries and …. 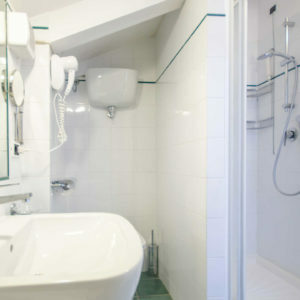 soft towels. 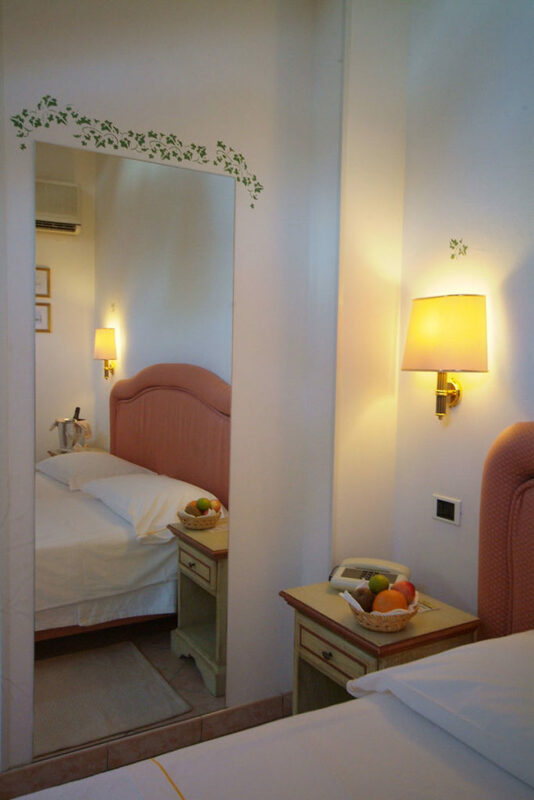 Our Junior room suite is a room measuring 40 square meters with a large double bed, private bathroom with shower, sitting area and two balconies. 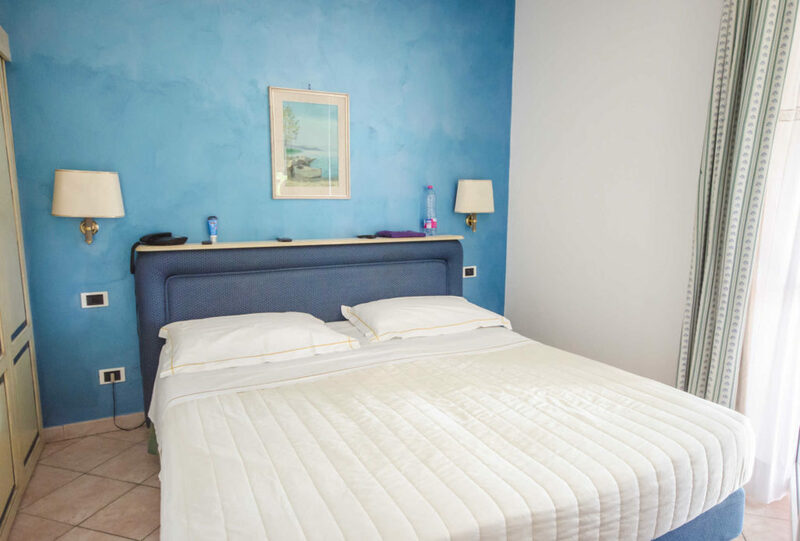 Perfect as a family room as the sofa can be converted into a comfortable bunk bed. 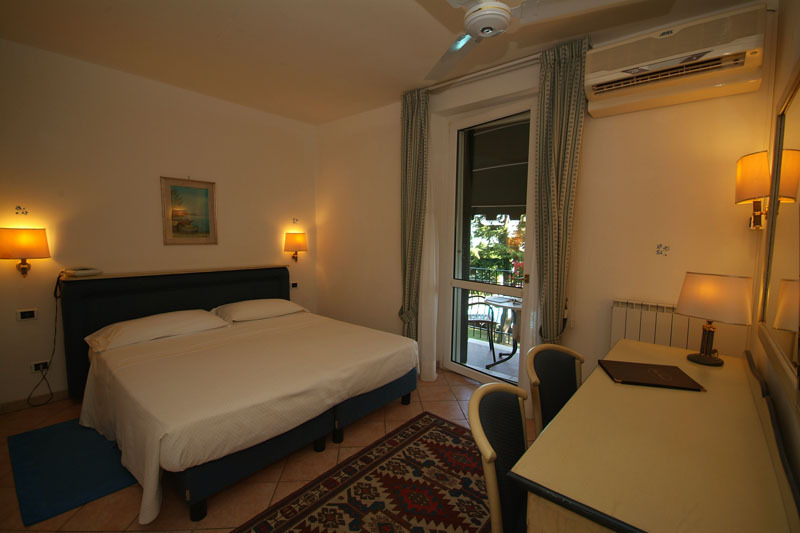 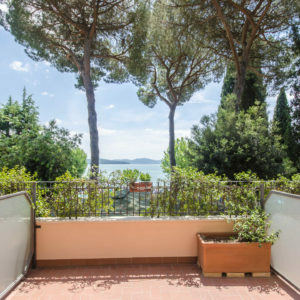 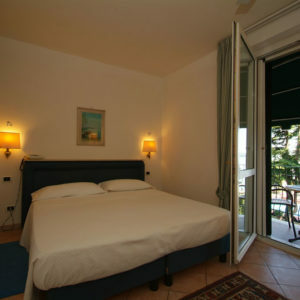 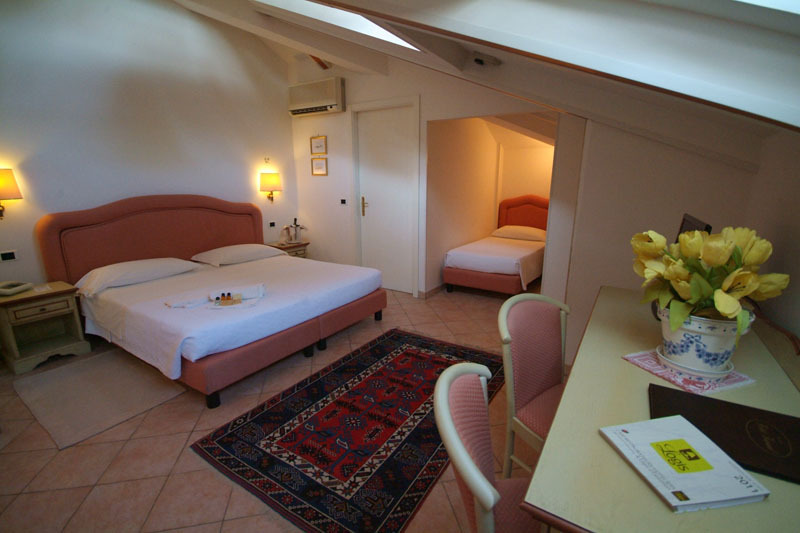 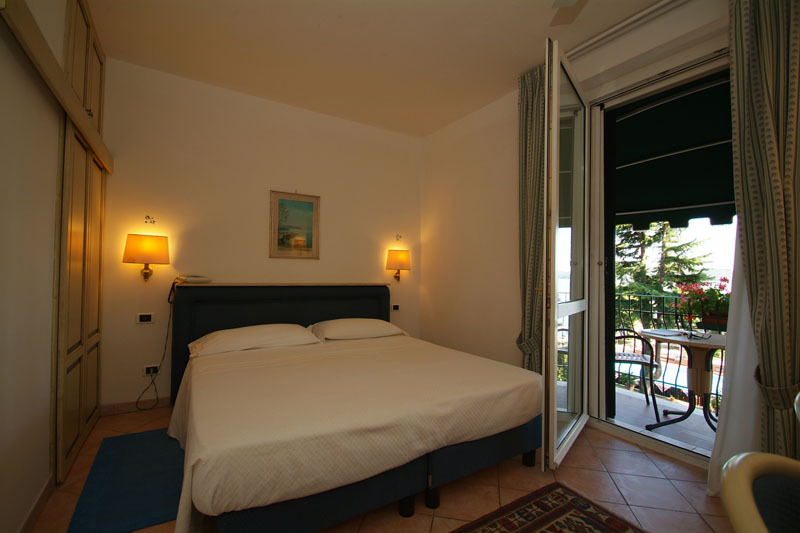 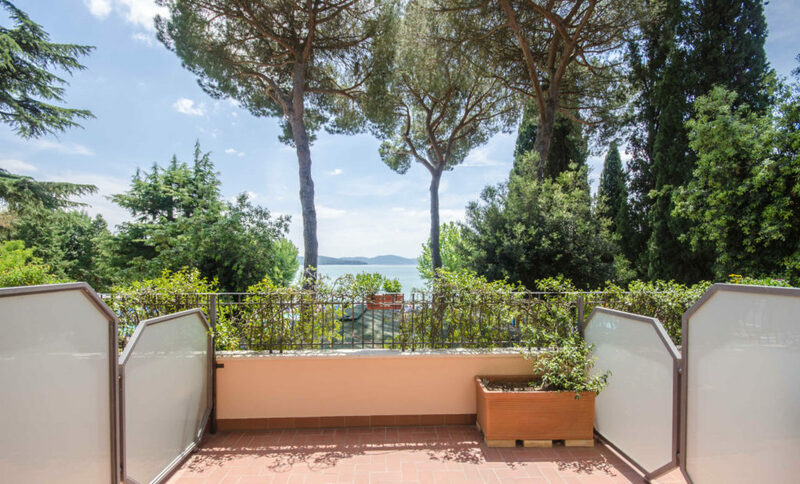 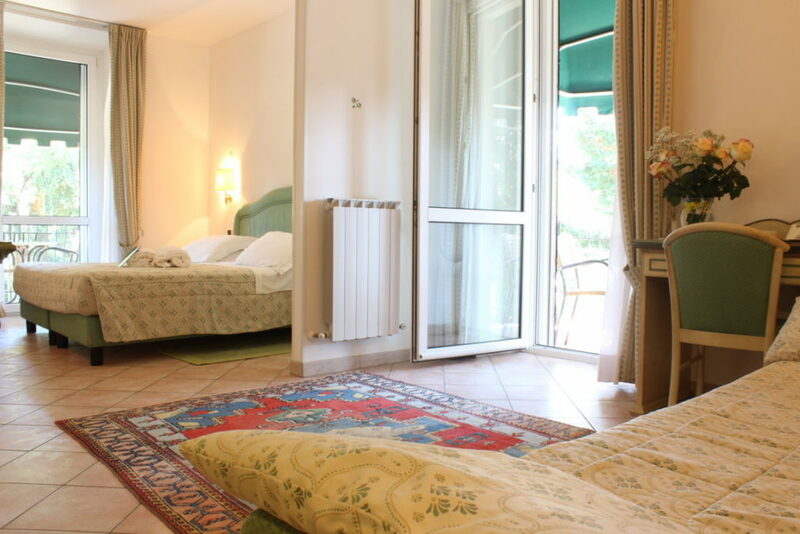 Master bedroom or twin beds, with balcony or terrace overlooking the lake. 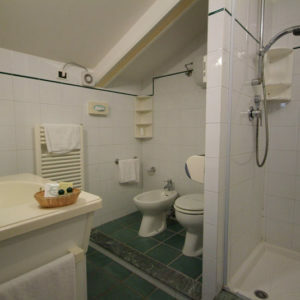 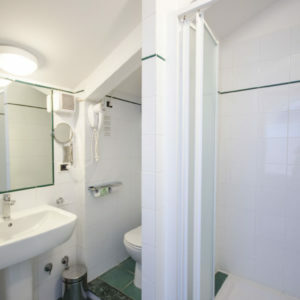 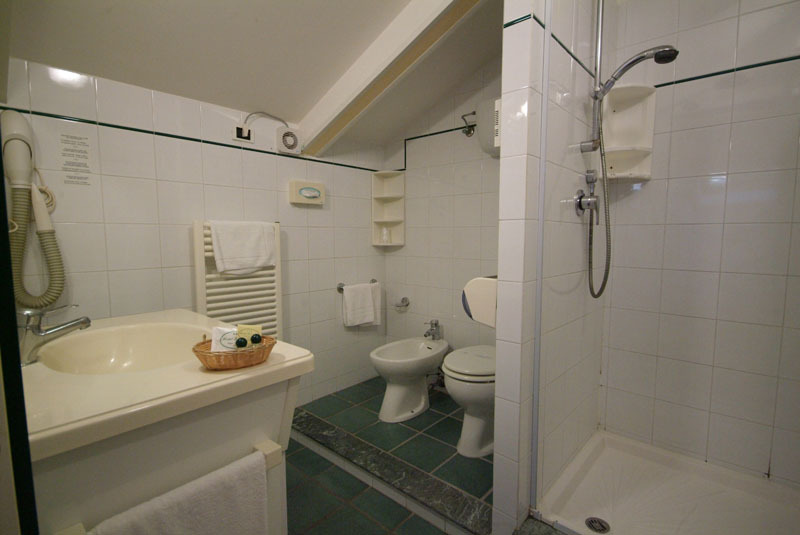 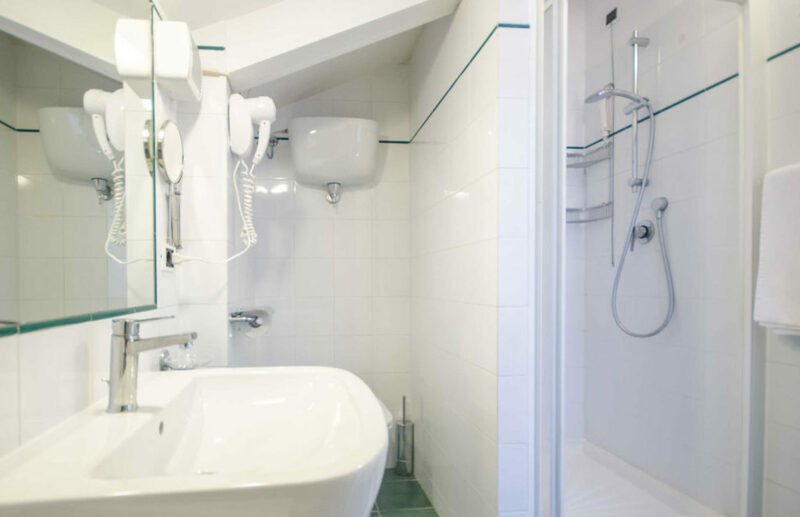 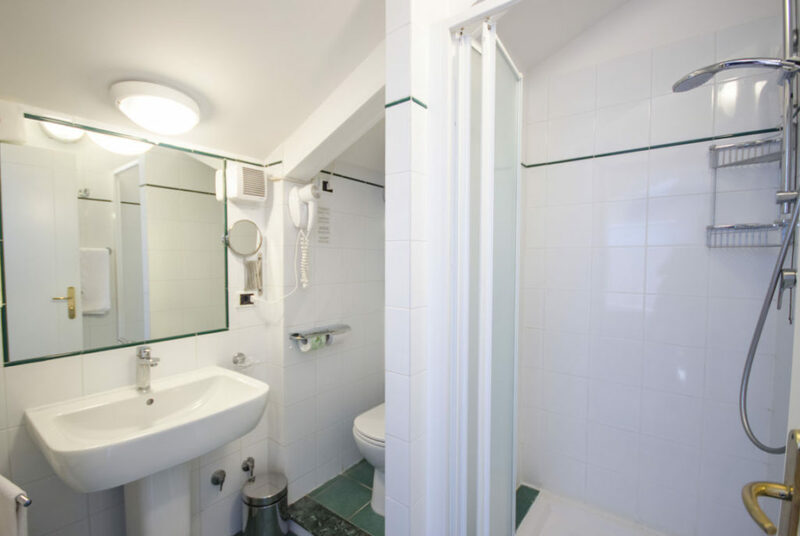 The bathroom is adequate in size with shower, hairdryer, complimentary toiletries. 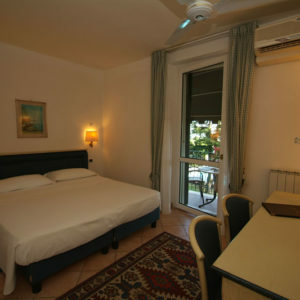 It has air conditioning, telephone, TV, Wi-Fi, safe and mini bar. 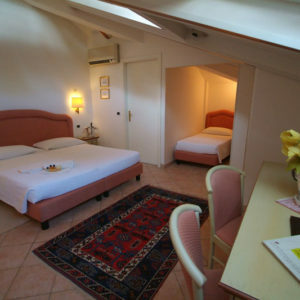 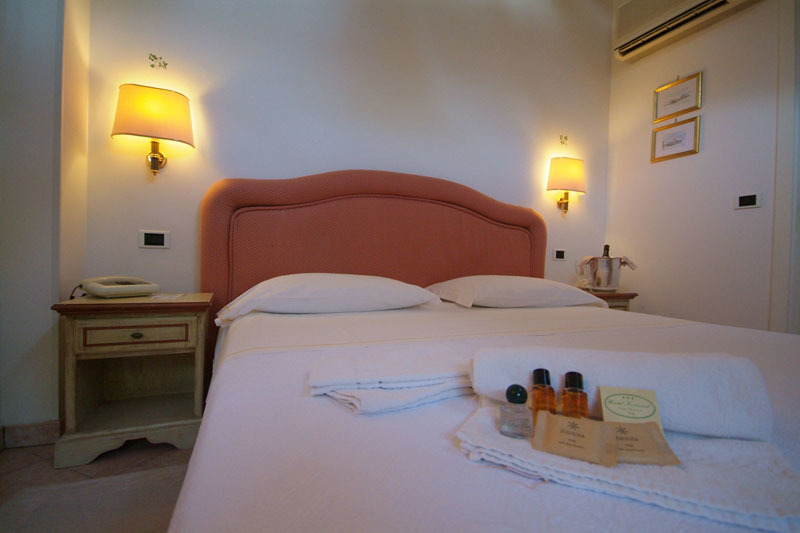 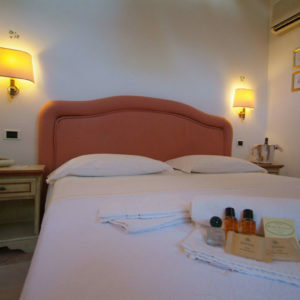 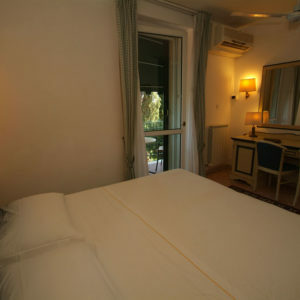 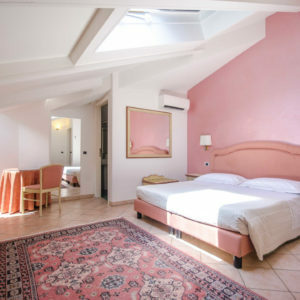 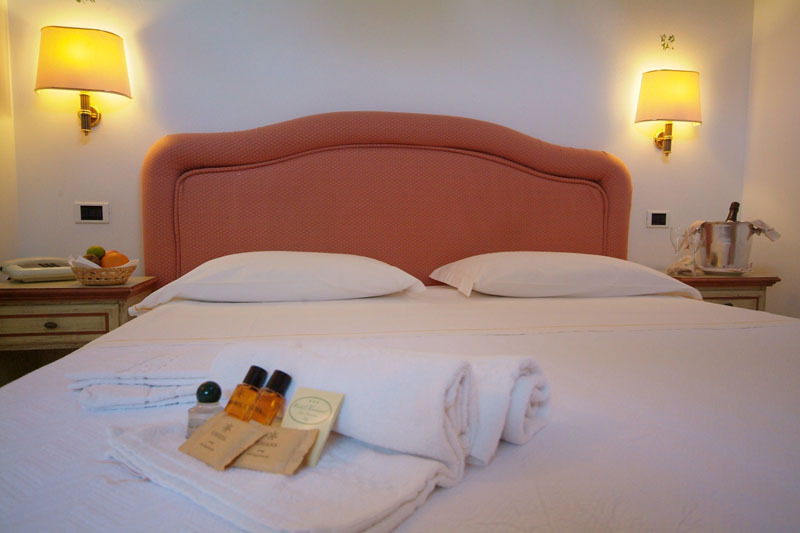 Our Classic room Master bedroom or twin beds with balcony overlooking the pine forest and an adequately-sized bathroom. 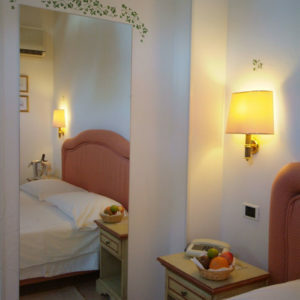 Air conditioning, telephone, TV, Wi-Fi, safe and mini bar. 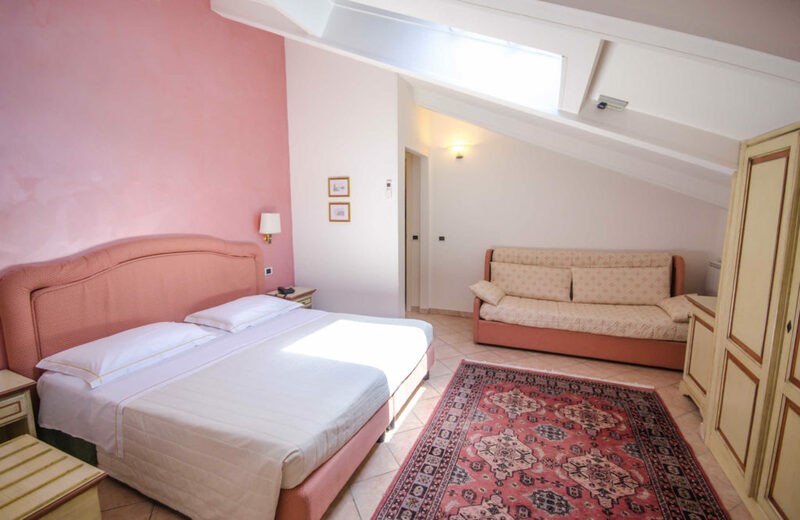 Our Mansard is a Bright and spacious room, without a balcony but with large roof windows, a comfortable sofa and bathroom with shower. 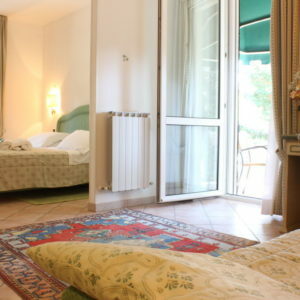 Ideal also as a Family Room.